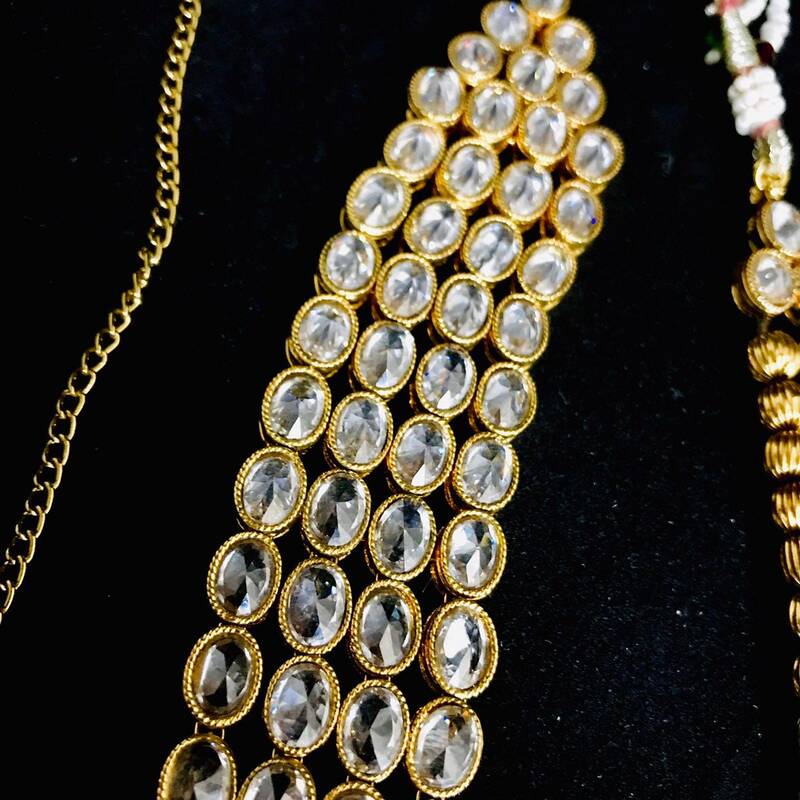 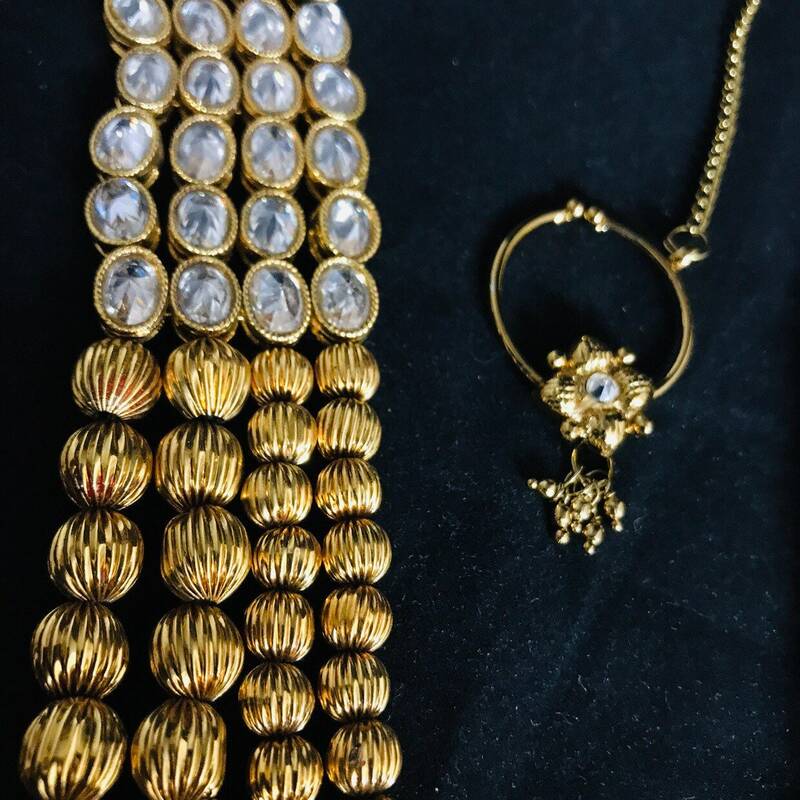 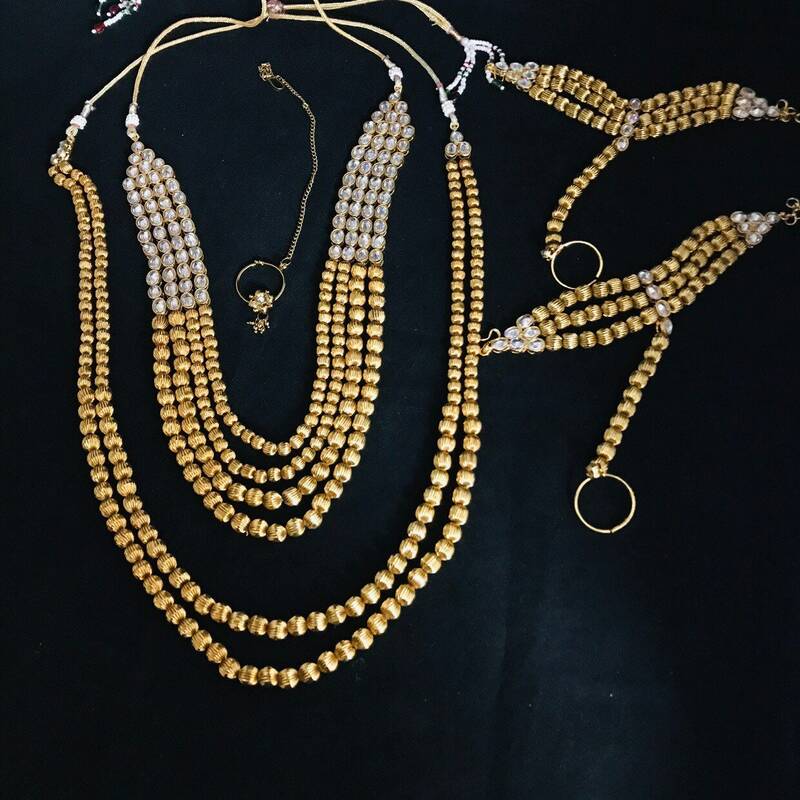 9 piece high quality gold plated bridal set. 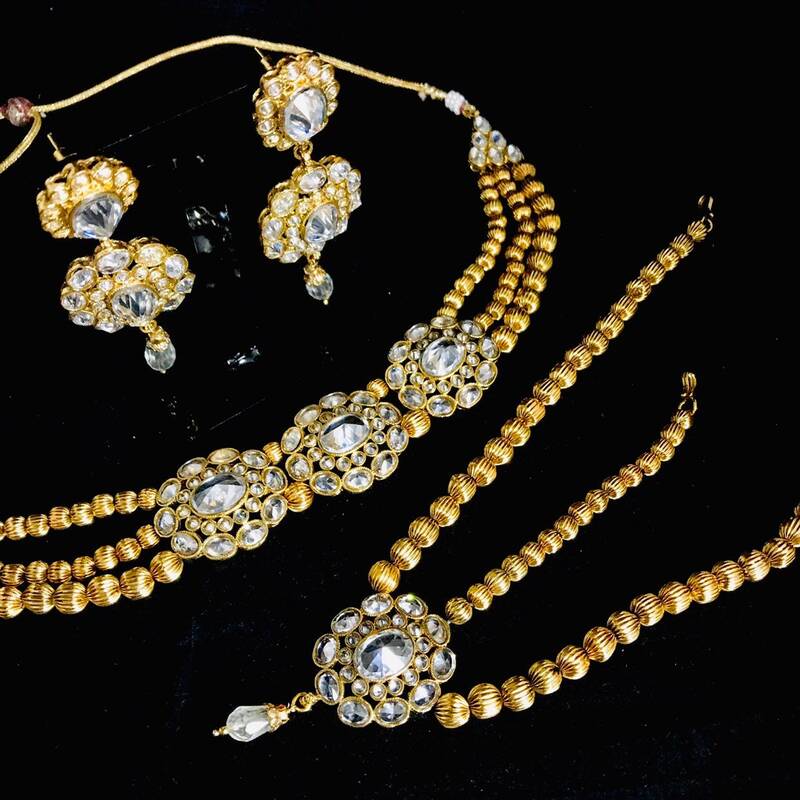 Light weight, elegant simplicity design Moroccan ball bridal set. 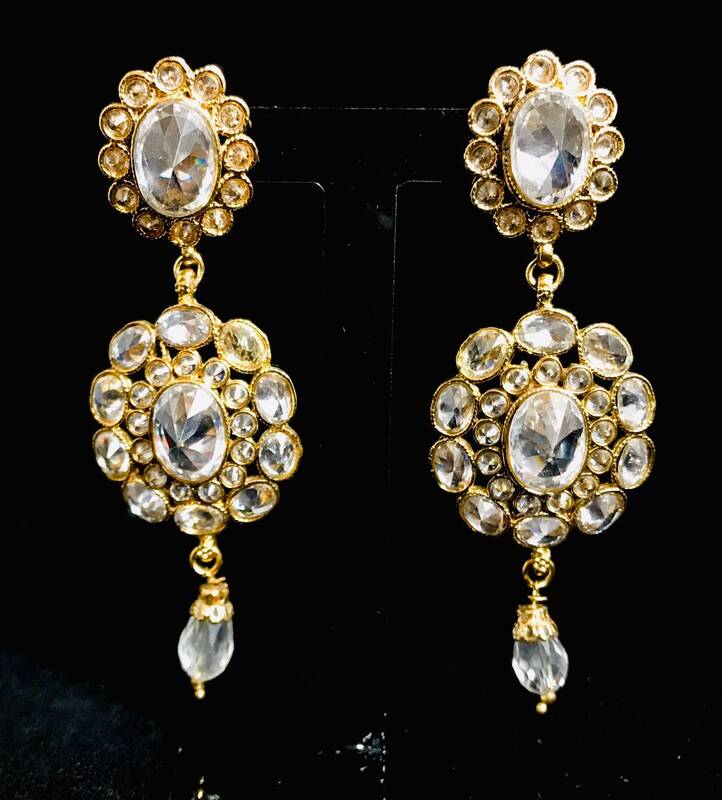 Encrusted in white/clear colour reverse ad/zirconia stones. 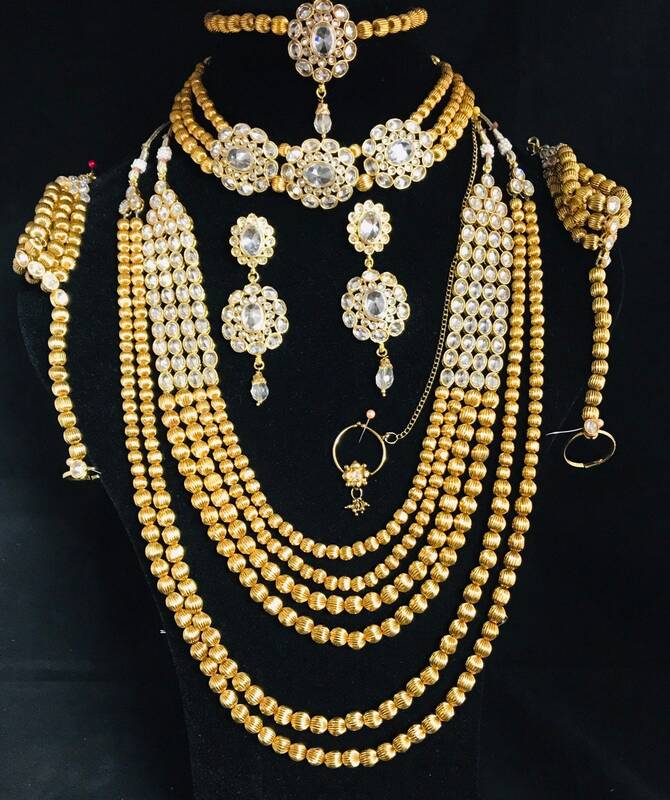 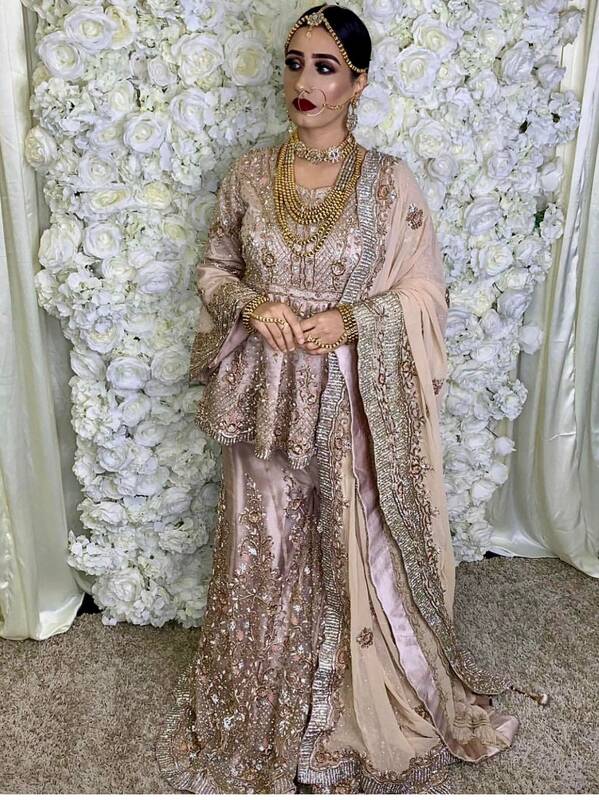 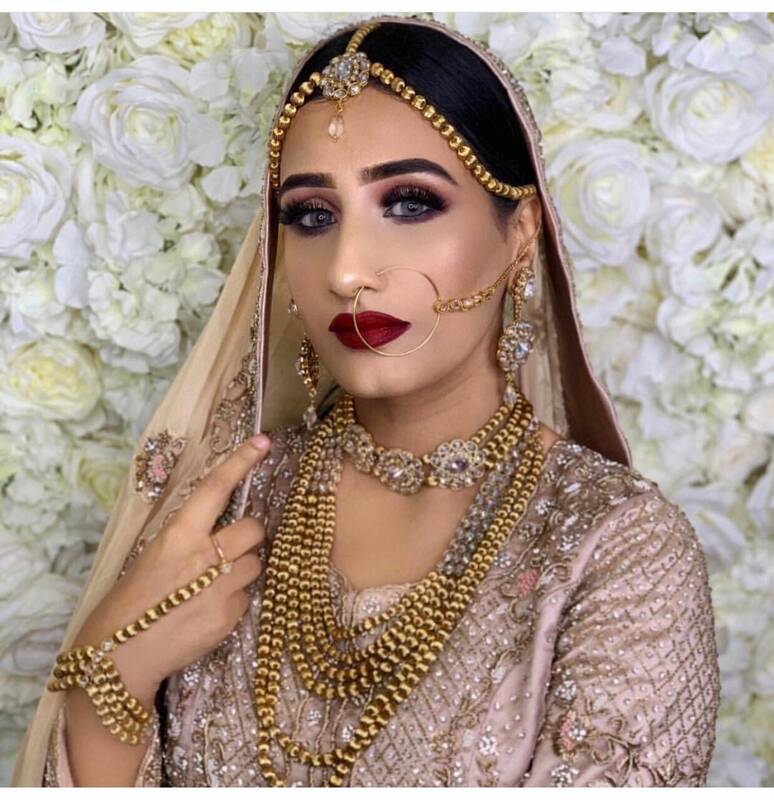 Set consists of choker necklace, 2 rani/long necklace/haar, pair of earrings, nose/naath piece, tikka/headpiece/ matha patti, 1 pair hand piece/panja. 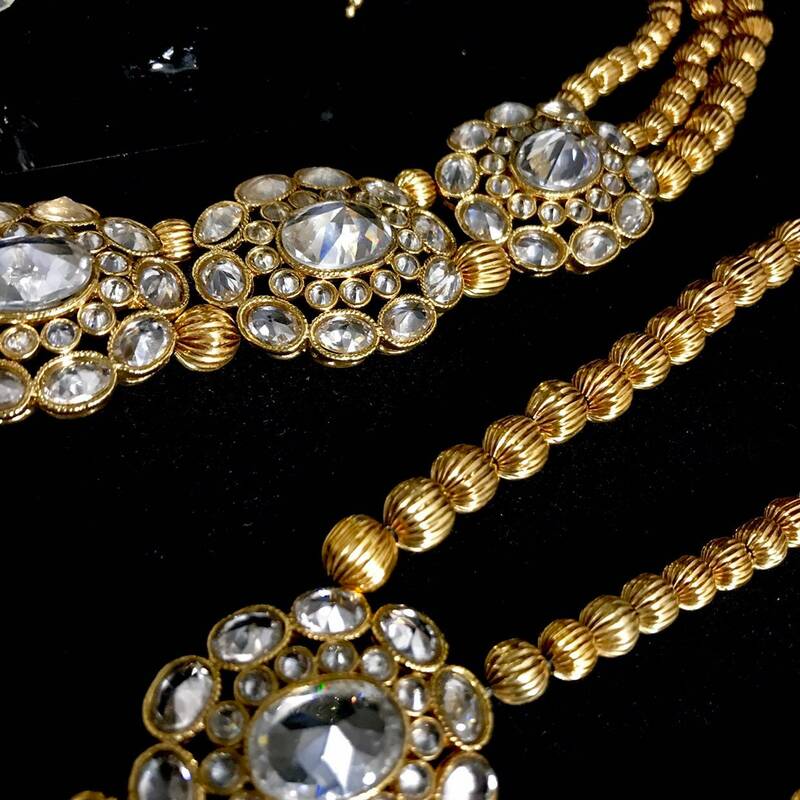 Contemporary style bridal set in Sparkly stones finished with gold colour plating. 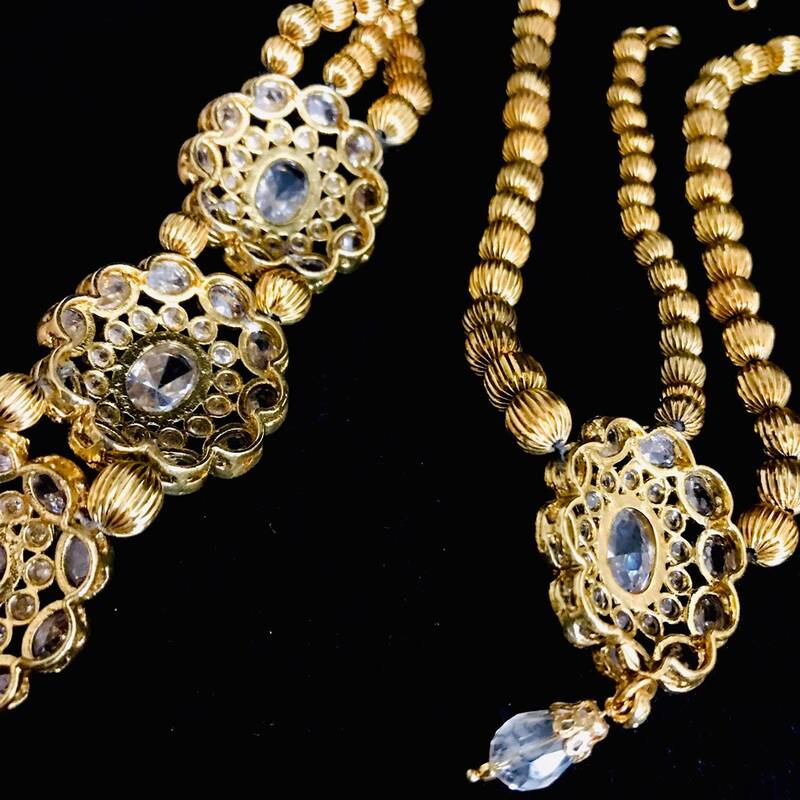 Both necklaces and hand piece with cord fastening/extensions chains for easy adjustment and claw clasp closure.